Reliance is proud to offer affordable propane to help the Agricultural Industry. Whether you own a nursery, farm, or business to help providers dry crops, our consistently competitive propane rates can help increase your profits. For several decades we have built personal relationships with businesses, just like yours, becoming a trusted partner. We provide not only highly efficient affordable propane, but also act as a detailed energy consultants for a wide variety of agricultural companies and applications. When you’re a Reliance Propane client, we treat your business as if it was part of our growing family, offering the best rates and direct access to our team of propane professionals. 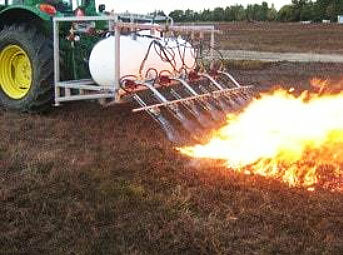 Farmers can experience tremendous saving when utilizing propane rather than diesel to power their irrigation engines. Studies have shown modern propane irrigation engines are up to 30% more efficient than older models, which equates to serious saving on an annual basis. The Propane Farm Equipment Efficiency Demonstration Program (FEED) also offers up to $2,500 toward the purchase of new propane powered irrigation and lawn equipment, providing an additional incentive to farmers nationwide. Call our office at 419.473.1374 for price quotes or questions. Let us handle your transfer of existing service to Reliance. Our name, Reliance, says it all.